Looking to impress your guests? 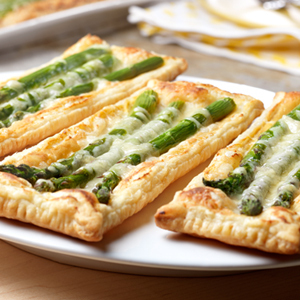 Try these delicious tarts that are really easy to prepare. 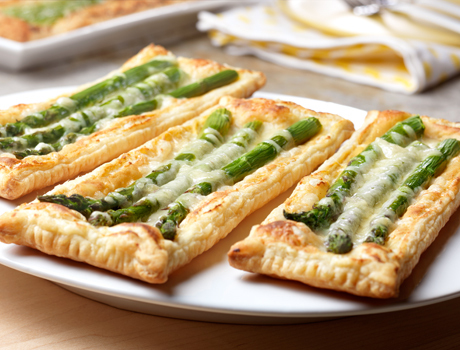 Spread Dijon-style mustard on strips of puff pastry and top with fresh asparagus and shredded Gruyère cheese. 20 minutes in the oven and youve got amazing tarts that are simply irresistible. Try them for brunch or at your next dinner party and youll be sure to earn rave reviews!